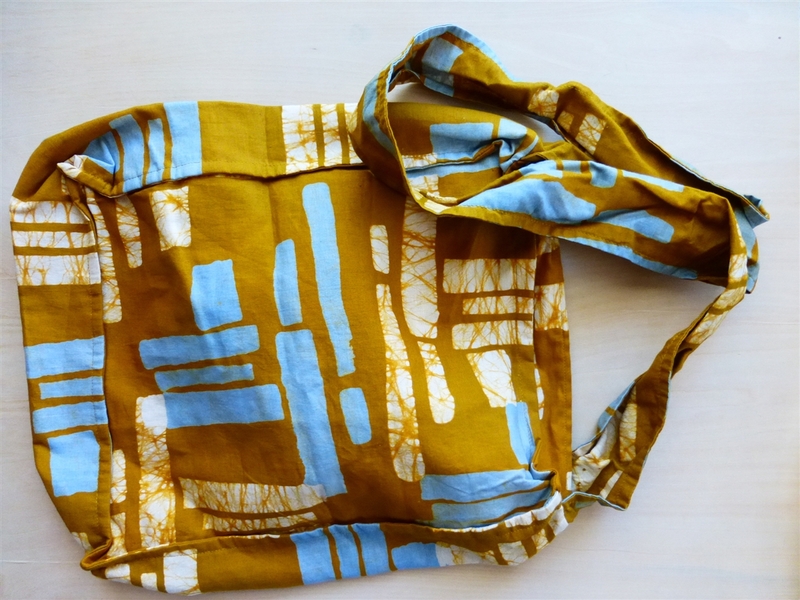 Handmade by Ghanaian women who are experts in the art of handcrafting batik and tie dye fabrics. This colorful cotton bag has a 20" strap and 15"x 13" pouch with zipper opening. Washable in cold water. Casual fashion for everyday wear.